As a fire crackles quietly, it warms the toques and mittens from a day of skiing in the mountains. A mug of hot cocoa steams by your side as you indulge in your favourite book. Or, you excitedly recount your favourite parts of the day with family and friends. The Canadian Rockies are an unparalleled backdrop for creating the best mountain memories. However it’s the places we retreat to at day’s end that bring our experiences full circle. 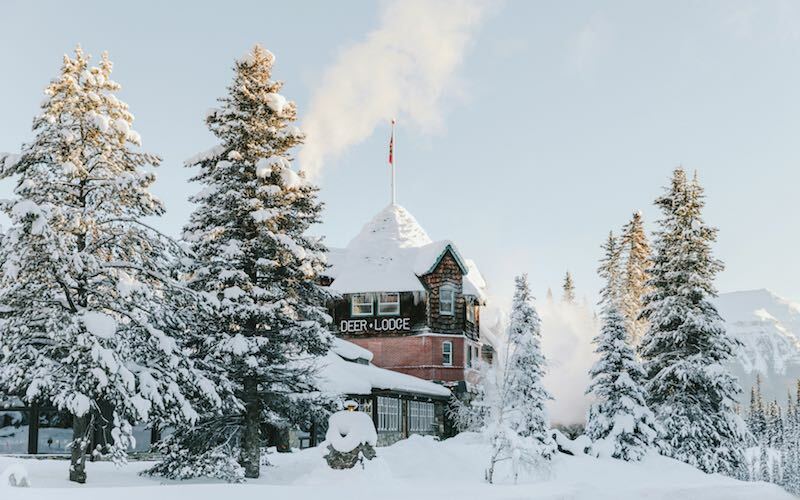 From elegantly rustic to Rockies chic, consider these ski cabins, mountain lodges, and cabin-inspired hotels for the perfect home base on your next Banff ski vacation. They’re sure to be just as much a treat as the destination itself. 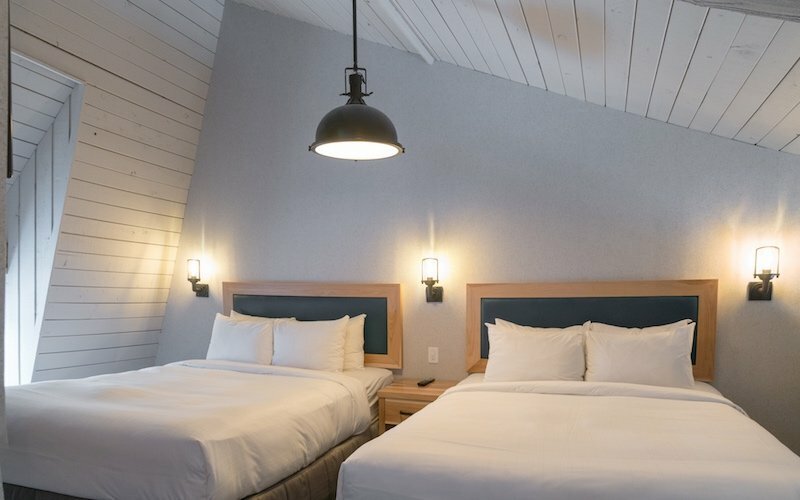 This uniquely Canadian boutique hotel is nestled within the majestic peaks of the Rockies. 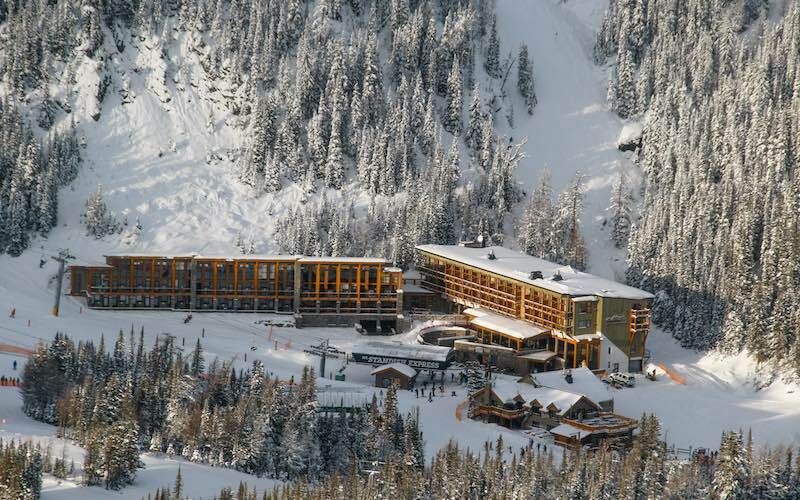 Look no further for the only ski-in/ski-out accommodation in Banff National Park. As you wake up to uninterrupted mountain views, treat yourself to effortless access to the slopes. At night time, scope your lines for the next day from their outdoor hot tub. Book your stay. This original restored rustic cabin is the perfect intimate getaway for a true Canadian Rockies experience. 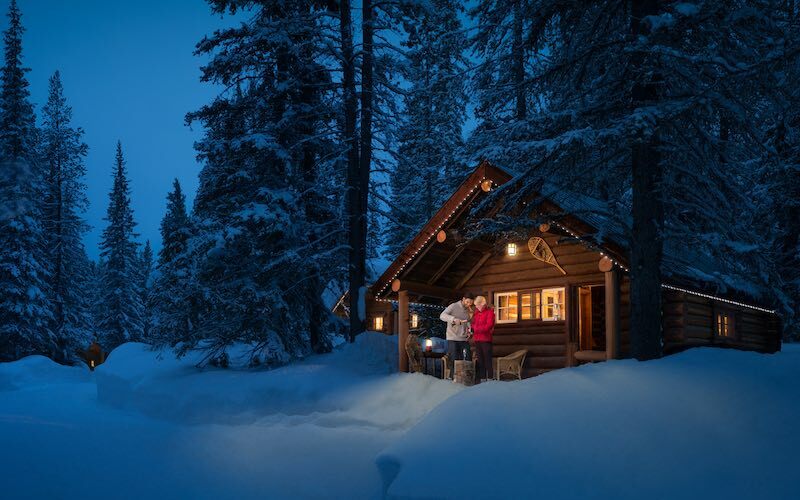 Located on a quiet crescent within the town of Banff, the two-person cabin is ideal for couples looking for a cozy and comfortable retreat with endless activities right at your doorstep. Plus, this B&B serves warm and hearty breakfasts to start your day off in the mountains right. 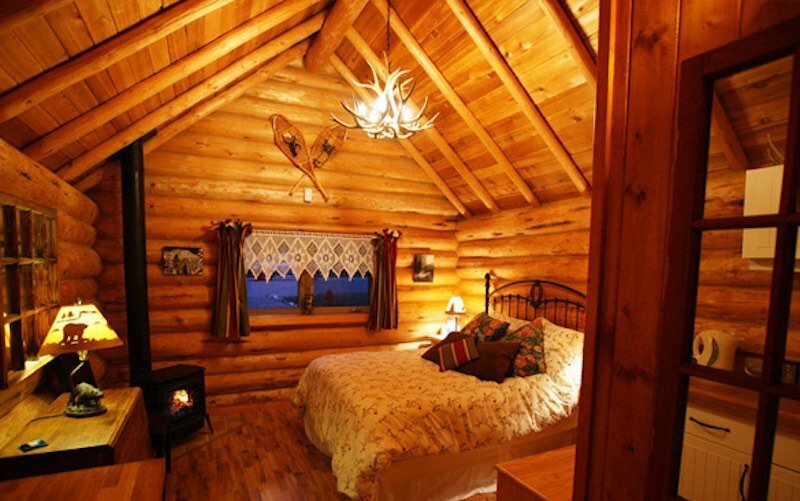 Photo courtesy of Banff Log Cabin. Buffalo Mountain Lodge embodies the peaceful essence of a backcountry lodge. 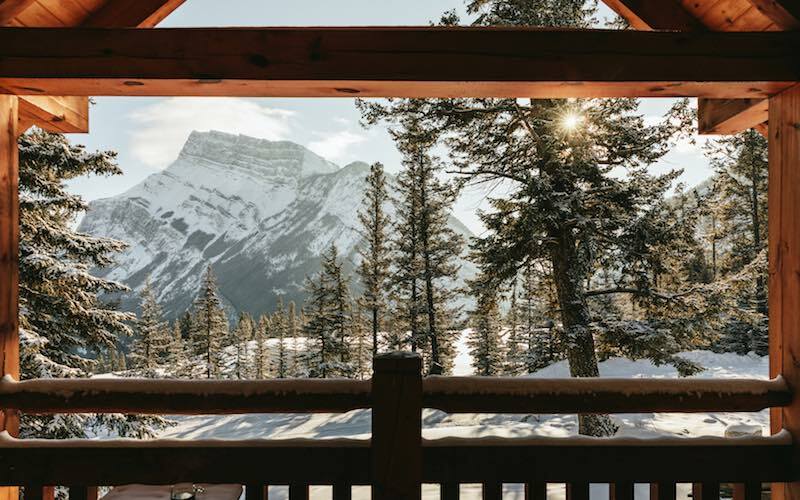 Situated on its very namesake mountain, nine acres of towering fir, pine and spruce trees surround the lodge, yet it’s just minutes away from Banff’s downtown. Cozy fireplaces, unique mountain architecture, and delightful Rocky Mountain cuisine make this the perfect place to wind down after a day on the slopes. Book your stay. Photo by Christopher Amat, Courtesy of Buffalo Mountain Lodge. 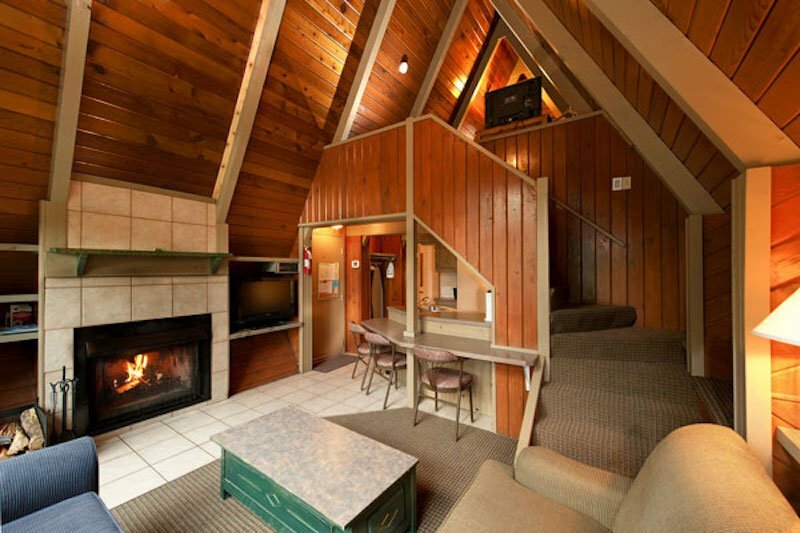 For that classic cabin feeling with in-town amenities and convenience, look no further than Brewster’s Mountain Lodge. Located in the heart of Banff, this lodge blends the best of both worlds. 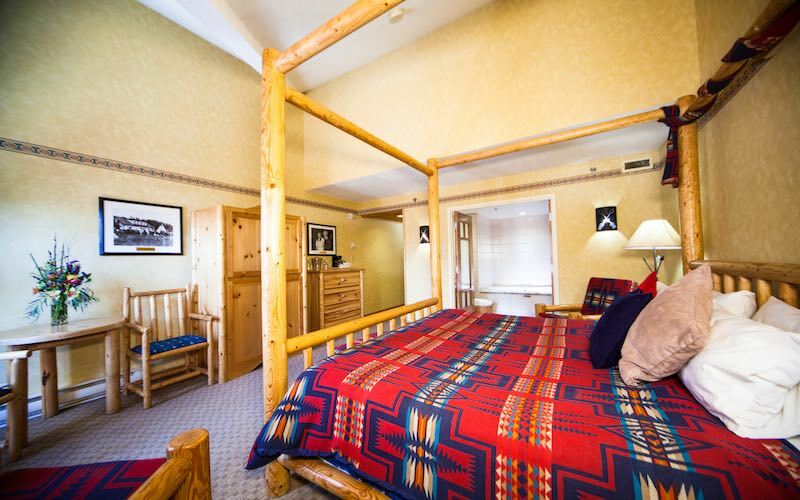 Rich-coloured Western décor and log furnishings will invite you in, while the finer details will leave you wanting to linger awhile. Cozy duvets and historical photographs from the Brewster family archives, to name a few! Book your stay. Photo courtesy of Brewster's Mountain Lodge. Travelling in a group or with family? Tunnel Mountain Resort offers stand-alone cabins that are great for larger parties. Each unit consists of a master bedroom with a queen bed, full kitchen, full bathroom, living room area with wood burning fireplace and an upstairs loft with two double beds. With ample room and charming finishing touches, you’ll feel right at home here. Book your stay. Photo courtesy of Tunnel Mountain Resort. These rustic A-frame cabins have a private balcony, wood-burning fireplace and include a full kitchen with all of the comforts of home. With tons of amenities at the resort (including Banff’s only indoor waterslide!) there’s no shortage of ways to make memories to last a lifetime, both on and off the slopes. Book your stay. Photo courtesy of Douglas Fir Resort. Deer Lodge is just minutes away from the world-famous Lake Louise. Originally built in 1923 as a teahouse, the lodge is a testament to a bygone era and retains much of its original log structure and décor. This charming and rustic mountain accommodation is a winter delight. After a day skiing at Lake Louise Ski Resort, just ten minutes away, end your adventure by stargazing from the rooftop hot tub overlooking Victoria Glacier. Book your stay. Photo courtesy of Canadian Rockies Mountain Resorts. Heaven on earth is found at the Post Hotel. 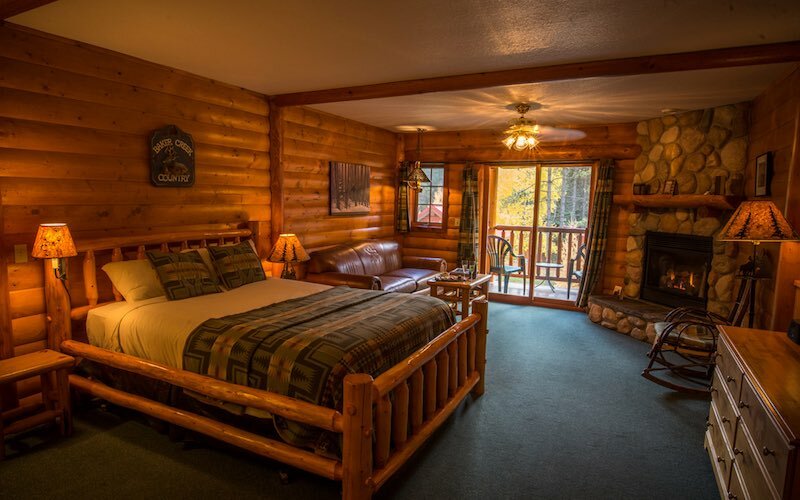 Both the cabins perched along the Pipestone River and suites within the greater lodge put you in touch with the spectacular Rockies scenery and rich history. With beginnings in 1942, the spirit of Sir Norman Watson, an avid sportsman who largely pioneered the lodge, lives on in the fine details. Photo courtesy of the Post Hotel. 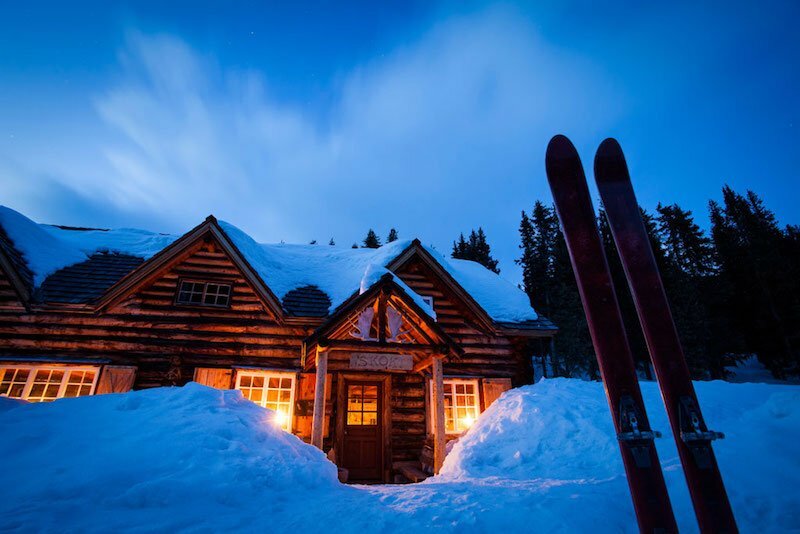 This backcountry lodge is a bit different from the rest on this list, as it takes a little extra legwork and determination to get to. But we promise the journey is worth the reward! 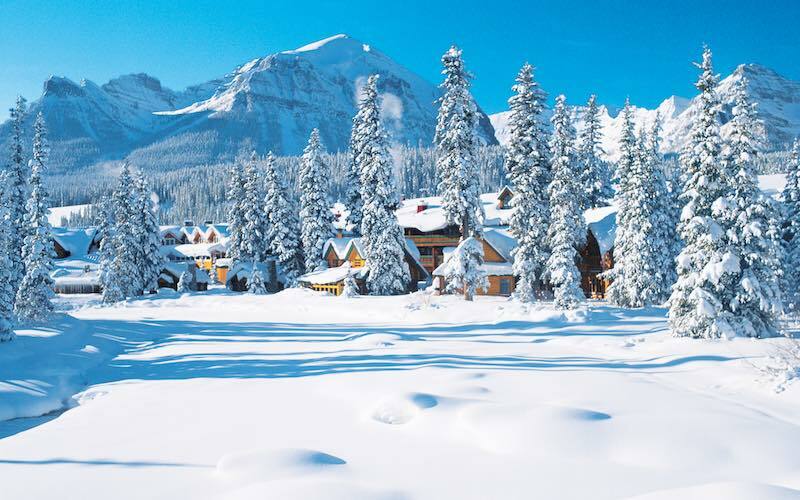 An 11 kilometre snowshoe, cross-country ski, or ski tour from Lake Louise Ski Resort’s boundaries will bring you this mountain lodge oasis. Photo by Paul Zizka Photography, courtesy of Skoki Lodge. Wood burning fireplaces, stunning scenery, and peaceful wildlife. All can be enjoyed from both the private cabins and lodge suites at this idyllic Rockies resort. Because it’s located halfway between Banff and Lake Louise, Baker Creek is a beautiful and convenient home base for your winter activities. Book your stay. Photo courtesy of Baker Creek Mountain Resort. Storm Mountain Lodge was originally constructed in 1922 by the Canadian Pacific Railway. The historic cabins here are a hidden delight tucked just off the main highway, which connects Banff, Lake Louise, and the SkiBig3 resorts. As you immerse in the warmth, charm, and local history of the area, your sense are sure to delight in rustic elegance at its fines. Photo courtesy of Storm Mountain Lodge. Ready to plan your cozy ski getaway in Banff and Lake Louise? Call our in-Banff SkiBig3 Vacation Planners today at 1-844-754-2443 . Or, plan your Canadian Rockies ski vacation online. 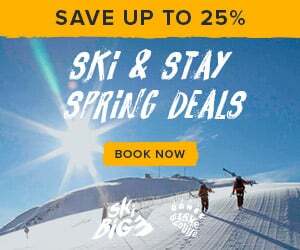 Great Ski & Stay Packages are available now.